! Sounding Keyboard and Mouse will bring you great enjoyment when you operate computer. It Lets you hear magic sound when you press keys or click mouse. 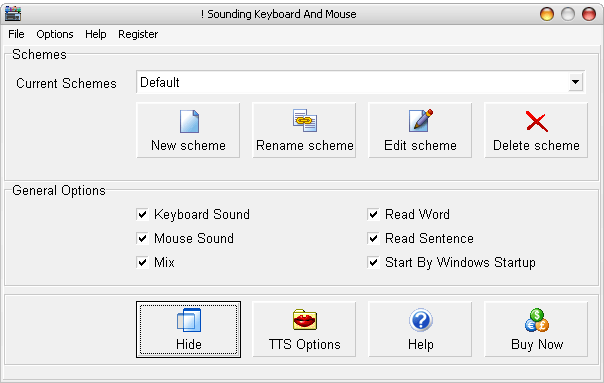 The program allows you to hear the sound or the words which you want to hear after your typing or clicking.If the Microsoft Speech API and TTS Engine have been install on your computer, The program can vocalise the text you are typing at the completion of each character or each word or each sentence. No programming skills needed. It is very easy to use.